I’ve had a mini rainbow on my bed all winter long. 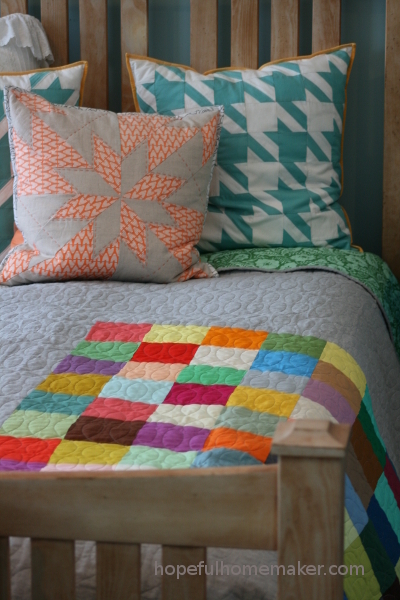 We added a quilt for another layer of warmth this winter, and on the gray days it’s warmed my heart to see these bright colors. The pattern is Big Charming by Denyse Schmidt, and it’s made with one of the large charm packs from her solids collection. 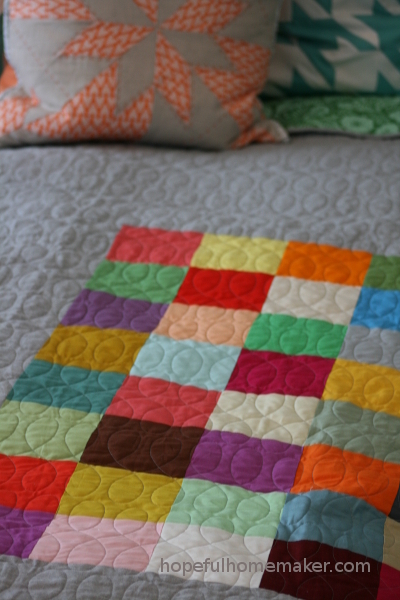 I love the simplicity of this quilt, a pop of color surrounded by solids. For the solid I used Essex Yarn Dyed Linen in Steel. 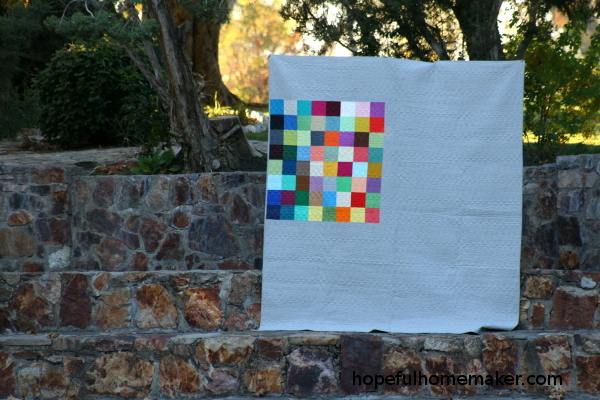 I love the texture of the yarn dyed linen, and the quilt has been the perfect weight on cold nights. 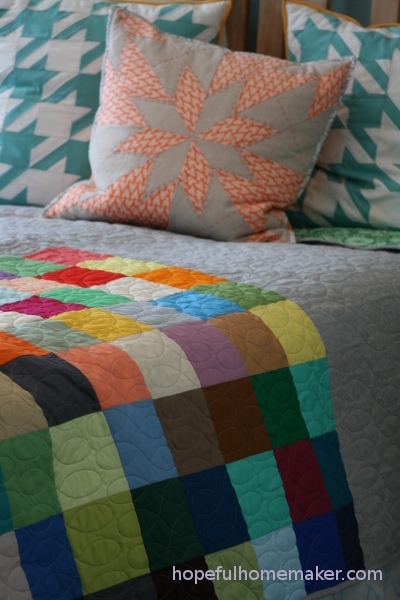 Modern Loops is the name of the quilting design and I love the simple beauty it adds to the quilt. I’ve been reflecting this week on how fortunate I am to live in a world with such beauty and color, both natural and man-made. When I get to sew with these lovely fabrics I sometimes feel a little emotional – I am so grateful for the color and beauty in my day to day life! I hope your day is filled with beauty, and that you have eyes to see it clearly. We are so blessed!